Shane Lowry admits he felt a pang of jealousy watching his European pals make mincemeat of the Americans at the Ryder Cup. Having tasted the fare at golf's top table, winning the WGC Bridgestone Invitational in 2015 before seeing the US Open slip tantalisingly through his fingers the following summer, he knew he was good enough to be there. He also knows that winning the ISPS Handa Melbourne World Cup of Golf with Paul Dunne this week could be just what he needs to winter well and bloom again in 2019. At 31, he knows he isn't getting any younger and with Pádraig Harrington the likely 2020 Ryder Cup captain, he's acutely aware that now is the time to grasp his destiny with both hands. "I feel like the last couple of years have been quite stale, going to the States, messing about with my schedule and playing too much, doing too much travel," a relaxed Lowry confessed to the 'Inside the Ropes' podcast in Melbourne. "I need to sit down in this off-season with my coach, my manager, my caddie and my wife and people around me and try and set out the best schedule I can and try to make the next Ryder Cup team and try and compete and get back in all the Majors." Ranked as high as 21st in the world three years ago, he's now 74th and knows that making Ryder Cup teams or even qualifying for the Majors won't be easy if he doesn't get back into the world's top 50 soon. There are no World Ranking points on offer at the Metropolitan Golf Club, where he teams up with Dunne looking to "somewhat salvage" his season. But there is a $7m prize fund for the 28-nation field that's missing almost all golf's big names with just ten of the top 50 chasing the Walter Hagen Cup and a $1.12m 0payday per man. With fourballs tomorrow and Saturday and foursomes on Friday and Sunday, Lowry and Dunne know they have the talent to bring Ireland its third World Cup win. Failing to deliver on that potential is what hurts, as Lowry discovered watching Thomas Bjorn's Europe bash the Americans in Paris. "When you are a player and you feel like you are good enough to be there, you are watching it and there's something deep down, a bit of jealousy in there," he admitted. "I am not old, but I am 33 for the next Ryder Cup and I need to start making a move soon. "That's a big goal of mine and I think Padraig Harrington is going to be captain. So I will hopefully make that team. It would be great to play Ryder Cup and play under him." This is his third World Cup appearance in Australia and having tied for ninth with Graeme McDowell two years ago, he believes he and Dunne can "do something" in Melbourne, where rain and wind are forecast. Australia's Marc Leishman and Cameron Smith, England's Ian Poulter and Tyrrell Hatton and Americans Matt Kuchar and Kyle Stanley are also looking to dethrone Denmark's Soren Kjeldsen and Thorbjorn Olesen. "There are certain parts of my game and Paul's that if we can cement them together, I think we could do something this week," Lowry said. "And I think the conditions are going to be favourable towards us." 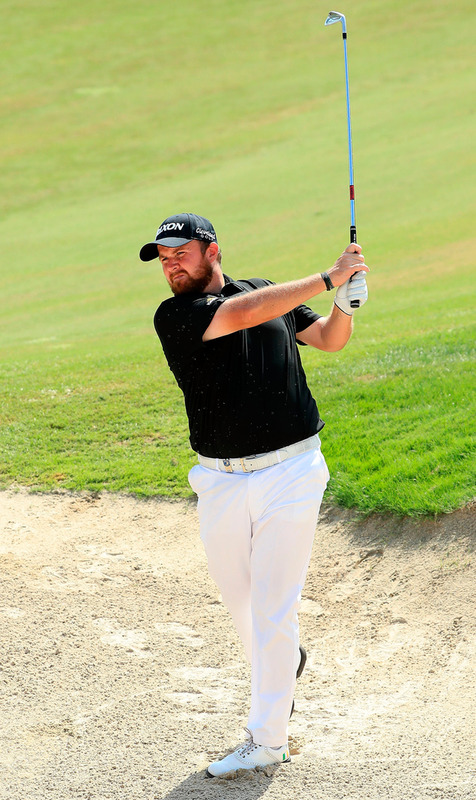 Contending for the US PGA, the Portugal Masters and the Andalucia Valderrama Masters gave Lowry a taste of something he'd missed - "the buzz of being in contention". But if his putting clicks, he sees Ireland being dangerous, especially given Dunne's Harrington-esque, grittiness and magical touch on and around the greens. As for the teams to beat, Lowry said: "Obviously the Aussies and England look to be very good. Belgium are good and Denmark will be decent. "But if we get off to a good start and get into the mix, we are very determined characters , very competitive and we could do something."